Kevin leads the team responsible for creating and executing the global corporate additive design and manufacturing strategy. He leads the cross functional internal team to identify and implement additive manufacturing opportunities in addition to developing key external partnerships to grow capability and advance the technology. The automotive industry is in the midst of a transformation that will drive more change over the next 5 years than the last 100 years combined. A new automotive world of electrified vehicles and autonomous vehicles with no steering wheels or pedals will only be enabled by challenging the status quo and thinking very differently, about how automobiles are designed and manufactured. Additive manufacturing will be one of the key technologies to support this transformation and help deliver this new and exciting future. Brendan Dooley has 30 years industry experience in mostly commercial roles including business leadership across Europe and North America for global scale producers of polycarbonate, ABS, nylon, PBT and other engineering polymers. Brendan is a chemical engineer with graduate studies in economics and finance; he joined IHS Markit in 2015 and has provided content for publications by IHS Markit, Chemical Engineering News, Plastics Engineering, Chemical Week and contributes to private client consulting projects about engineering plastics markets. Supply shortages and inelastic demand have driven nylon and polycarbonate prices to record levels. Hear what’s ahead for the nylon and polycarbonate industries, worldwide. Let’s take out the quote. 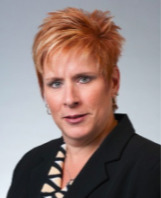 Laurie Harbour, President & CEO, Harbour Results Inc.
Laurie Harbour leads a team of analysts and consultants to help small- to medium- sized manufacturers develop strategies, improve their operations, reduce risks and optimize business. As a trusted advisor to the NA manufacturing industry, HRI monitors, researches and analyzes the manufacturing value stream. She was named Crain’s Notable Women in Manufacturing, Plastics News’ Women Breaking the Mold and Plastic News Automotive Newsmaker of the Year. There are a number of factors creating instability in the automotive industry, including changing consumer preferences, changing automaker and supplier landscape, trade and tariffs, new competitors and stock market fluctuations. Laurie will share what the future might hold for the automotive value chain as well as what plastics processors should be considering to manage through the headwinds. Joe Langley serves as Associate Director for IHS Automotive with responsibility for North American production forecasting and market analysis. He has over 20 years of automotive experience relating to forecasting, competitive intelligence, leasing and residual valuation and industry analysis. Mr. Langley has a Bachelor of Business Administration in Finance from Hofstra University. The expansion of the automotive industry after the Great Recession stalled for the first time in 2018, marking the end of the recovery cycle. The 2019 and 2020 outlook raises questions: have we reached a peak and, therefore, growth will retreat? Are there still elements of support for market growth?